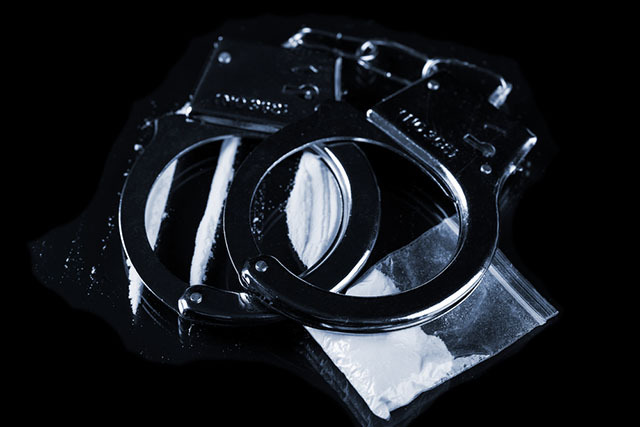 The Drug Enforcement Administration (DEA) has arrested a 48-year-old man on charge of trafficking cocaine out of his home in Highland Park area of Los Angeles. Authorities said that Felipe Talamante was also running an illegal day care from the same place. Talamante was recently caught red-handed trying to sell 20 kilograms of cocaine “straight from Mexico” to undercover agents who had struck a deal with him, media reports said. The DEA agents reported seeing children of all ages playing in the nearby yard while drug deals were being made. Further, the agents also observed children being picked up and dropped off at the day care. In addition to federal charges, Los Angeles authorities filed a nuisance abatement lawsuit, which would prevent Talamante from entering the day care and possibly make way for the residence to be sold. Talamante was previously arrested in 2015 on similar charges of selling 20 kilograms of cocaine from the same address. “The rampant drug activity we allege at this home is a dangerous blight on the community — and especially alarming because little kids are caught up in the middle of it. Imagine if your children were being cared for in the same house where cocaine was being sold,” said City Attorney Mike Feuer. Several surveys indicate that cocaine is the second most popular illegal recreational drug in the United States after marijuana, and its use is highly prevalent in the middle and upper classes of the society across the country. Apart from alcohol, cocaine is the most common drug that causes the maximum number of emergency room visits nationwide. The DEA says the most effective way to dismantle drug traffickers is to stop using harmful drugs, which would throw them out of business. The U.S. State Department expressed its concerns over the increasing use and availability of cocaine in its annual report on the global narcotics trade. Studies show that some of the world’s deadliest narcotics trafficking organizations operate an extensive network in Colombia. As a part of their modus operandi, cocaine cartels generally ship large consignments from Colombia to Puerto Quetzal in Guatemala or other transit points in Mexico, Puerto Rico, the Dominican Republic, Jamaica and Haiti, from where they make their way into the U.S.
Non-fatal heart attacks in those under 45 are attributed to cocaine abuse. The drug is capable of inducing spasms in the heart, destroying healthy cardiac tissue. Researchers say that using cocaine even once can induce drastic changes in the brain’s reward system, which could lead to dependence. In due course of time, the reward circuit adjusts to the excess dopamine rush triggered by the drug. As a result, individuals addicted to the drug develop tolerance and end up taking stronger doses. The drug is known to hijack normal memory function, causing difficulties for those who have used it to think about anything else. The cure to any addiction depends on an individual’s readiness to break free and lead a normal life. If you or your loved one is addicted to cocaine, heroin or any other drugs, seek treatment immediately. The Los Angeles Drug Treatment and Rehab Center can help you get one of the best addiction treatment programs and embrace sobriety. You may call our 24/7 helpline number 213-986-2445 or chat online for more information on different treatment options in your vicinity.